VERDE VDI 8.2 now available. 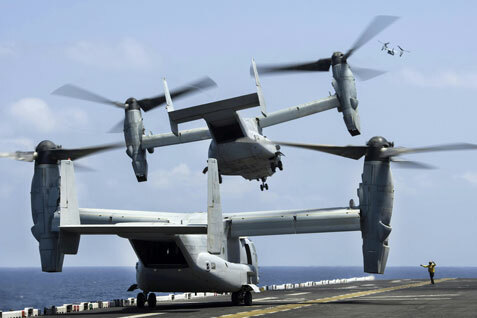 A different way to deploy VDI. Watch the overview video. Please complete this form and we will contact you shortly to discuss the free VERDE VDI trial. 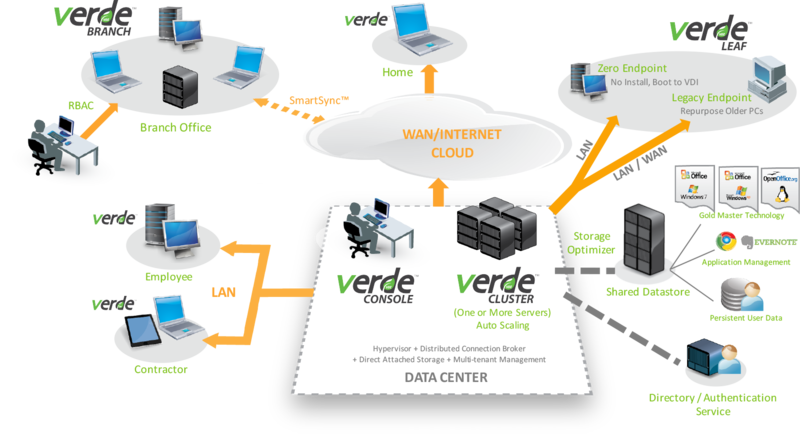 VERDE VDI provides the most secure, easy-to-use, enterprise-grade virtual desktop infrastructure. At a price that is considerably less than our competition, VERDE VDI offers three additional capabilities that separate it from the competition: we treat Windows and Linux clients as equal citizens, eliminate WAN latency by decentralizing VDI processing to the edge of your organization, and we span one’s end-user computing fabric from on-premise to cloud-hosted, or hybrid using our unique Cloud Branch technology. 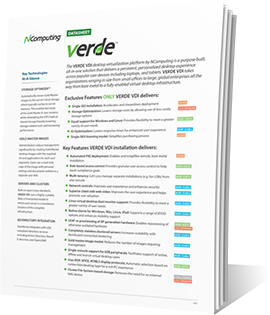 VERDE VDI delivers enterprise-level features. Desktop computing for business doesn't need to be complicated or expensive. VERDE VDI takes the sensibilities of enterprise-level virtualization and makes them available to small- and medium-sized business. Our competitors continue to avoid reality and disregard the prevalence of Linux in mainstream corporations. VERDE VDI embraces Linux, providing a seamless environment for serving Linux desktops of all stripes and configurations, side-by-side with Windows. But we go further than just serving up desktops. Lets say I have to do a compile job once a month, needing multiple cores to finish in a reasonable amount of time. I don’t have to have a beefy workstation sitting idly all month waiting for that job to call upon it. With VERDE VDI there can be an instance available to the engineer that can be called upon when needed. Resources will be carved out of the existing pool to handle the job, and then returned to the pool when complete. Does that sound familiar? Sound like cloud? Well, yes. VDI has a cloud-like architecture and allows organizations to reconfigure on the fly depending on the needs of the moment. In a Linux desktop user population – research, engineering, CAD, military, intelligence, etc., VDI is a huge advancement in flexibility, cost optimization and security. 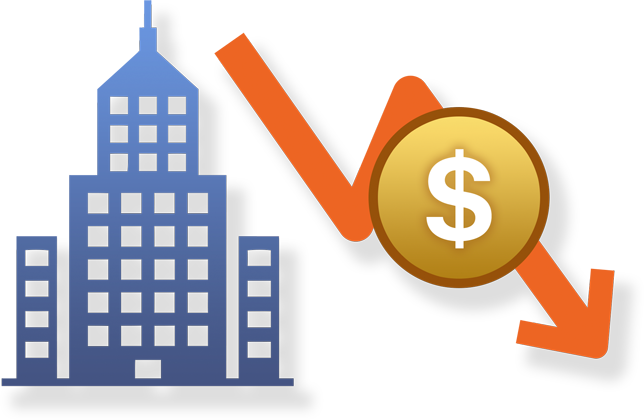 VDI, as promoted by our competitors, has gotten a bad name from its inability to be successful outside of headquarters. VERDE VDI has an innovative capability that uses caching and differential updates, among other techniques, to effectively “akamaize” VDI, cache it at the edge for easy, quick access, but without requiring any local management/administrator involvement. The major benefits of this approach in addition to eliminating WAN latency, is business continuity – if the external network goes down, all the local apps will keep working without interruption. It also reduces network bandwidth as the applications are all communicating over the LAN and seldom need to go out over the WAN for normal desktop application usage. Schools, campuses, branches, regional data centers, mission isolation, etc. all benefit from this architecture. VERDE VDI is a perfect solution for bringing the benefits of VDI to these user populations. VERDE VDI, is an end-to-end virtual desktop infrastructure and management solution that combines VDI, offline VDI and VDI remote branch solutions to remove the management burden, complexity and cost traditionally associated with desktop virtualization solutions. VERDE VDI offers unified management and reporting through a single console and is adaptable for today’s dynamic environment. Ideal for companies of all sizes, VERDE VDI can scale up to ten thousand clustered servers or scale down to a single-server configuration. Through a combination of better hardware efficiencies, more attractive all-in-one pricing, the ability to optimize workloads between Windows and Linux, and incredibly easier management, VERDE VDI is by far the best ROI among the competition. VERDE VDI has a long history as a preferred secure desktop platform with demanding users like the NSA, CIA CSEC and others. And for good reason. VERDE VDI is secure on a number of levels. Being built organically from the ground up gives us a much more deterministic architecture as opposed to the cobbled-together monstrosities from our competitors, which not only make their solutions complicated and difficult to manage, but also introduces inherited code and architectures from smaller, acquired companies bought to plug the holes in their offerings. VERDE VDI starts with a solid, secure Linux foundation. It then incorporates a dynamic provisioning model that makes users more impervious to malware by making unsanctioned changes non-persisting. We even go so far as to give admins the ability to set permission on USB devices by model and serial number. If you identify only this make/model of drive authorized on this device, then any attempt to copy info to a non-authorized device will be blocked and logged. VDI in general offers tremendous security improvements over traditional desktops, but VERDE VDI takes this security to a whole new level with innovations we have developed over a long relationship with many demanding users. 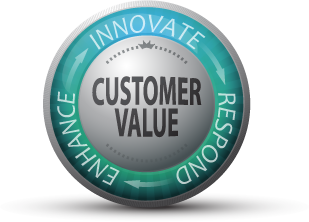 VERDE VDI is a purpose-built VDI solution for enterprise customers without the big price tag of other solutions. Not only do you save on desktop management and end-user computing by virtualizing, we drop the cost of administration and user provisioning. 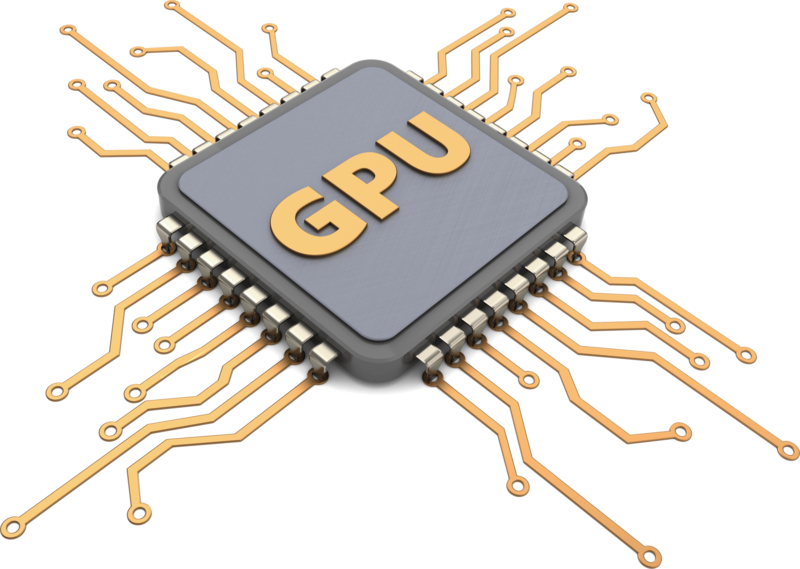 VERDE VDI supports most of the popular GPU cards including Virtual GPU (GRID) and GPU Passthrough options. This powerful feature provides your high end designers with the tools necessary for their job along with the security and reliability of a VDI system. Get VERDE VDI set up and running in hours, not days or weeks. 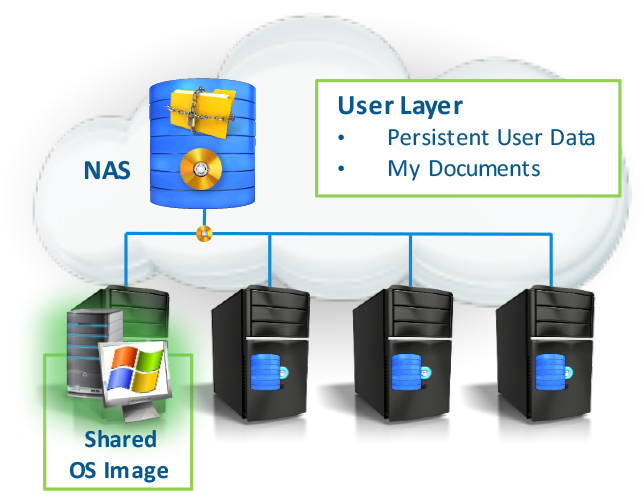 Efficient workflow and image management simplifies desktop and user provisioning. Support multiple deployment modes including on-premise, cloud (IBM Bluemix) and hybrid. Our unique Cloud Branch technology offers better remote office performance and reliability. Use this tool to calculate to understand the requirements of your deployment - how many servers, RAM, CPU cores, internal & external storage, and other specifications to build out your rock-solid deployment. See how efficiently it will operate under normal conditions and when 1 server drops out. VERDE VDI connects to a wide range of endpoint devices including PCs, thin clients, software clients and any HTML5 enabled browser. Regardless of where you are, you're never far away from your desktop. With VERDE VDI 8.2 you now have the option to use the RX300 or RX-RDP thin clients–our own devices with support for both RDP and UXP 2.0 access protocols. Using the RX300 or RX-RDP as your connection device means you have one company that supplies both an award-winning, server-hosted VDI software solution and an easy-to-manage access device. Utilize PMC to manage RX300 devices. * Check with us for specific models and versions. VERDE VDI is built from the ground up on a secure Linux foundation. Prevention of malware, virus attacks, data leakage and unauthorized access to the internal network are all cornerstones of VERDE VDI security protocols. Dynamic desktop provisioning protects users by making unsanctioned changes non-persistent. Automating desktop image management also helps keep deployed workspaces up-to-date. 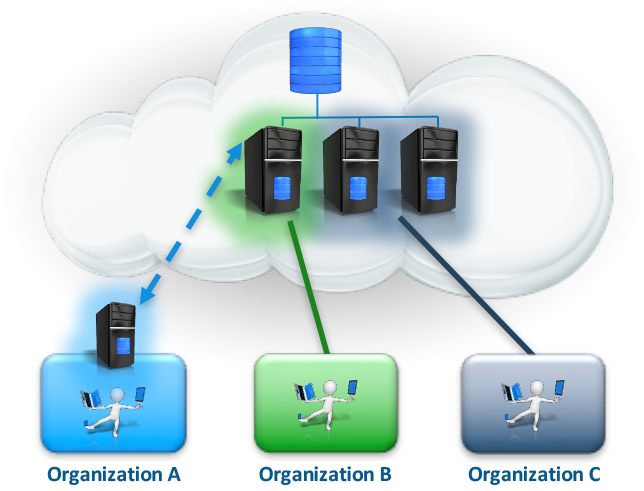 Ability to scale globally within an enterprise with automatic replication to regional data centers. The need for costly storage solutions—and lots of it—is a significant challenge to desktop virtualization. NComputing takes a unique and innovative approach to caching that dramatically reduces network traffic to optimize storage, boost performance and cut costs. 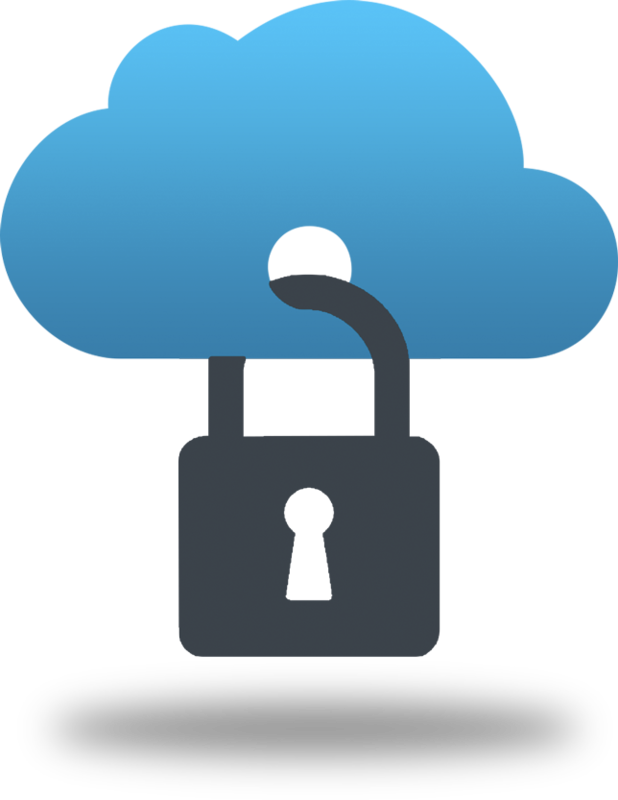 How to Secure Your Data with the VERDE VDI™ Private Cloud Solution. The Most Secure VDI For Your Data. The practical, real-world needs of the users who will interact daily with virtual desktops inform and drive many of the technology decisions. Capturing those needs accurately and thoroughly makes the difference between a widely adopted and successful migration to desktop virtualization and a slow, painful migration that never quite catches on. If you are looking at desktop virtualization, you have probably run across the good, the bad and the ugly. Desktop virtualization can be a homerun, or it can take a decidedly different turn. Here are some tips on how to make the best decision. What are some of the key features and improvements in VERDE 8.2? Is VERDE free to download and use? VERDE can be downloaded as a trial version but requires a per concurrent seat license for any connections past the initial trial. 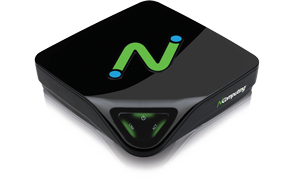 Contact NComputing or your local reseller to obtain an access key to obtain a copy of the VERDE 8.2 software. How do I download the trial version of VERDE VDI? 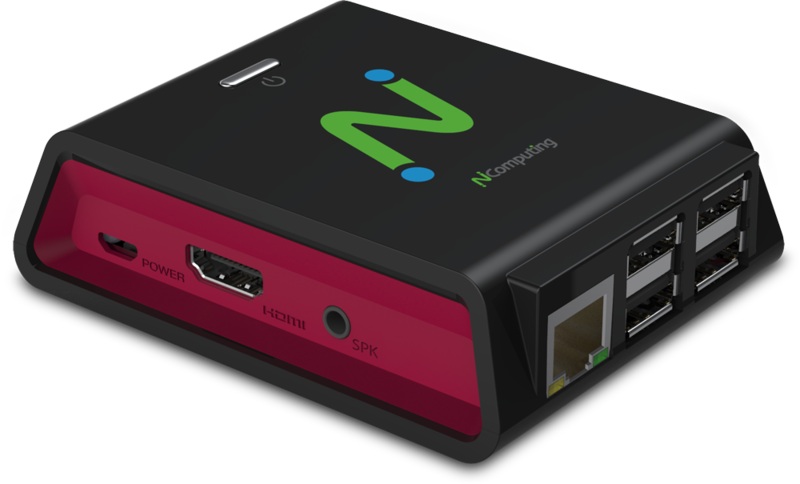 A VERDE VDI 8.2 trial download can be obtained by filling out this form on the NComputing website. Based on this request, we will contact you with a download redemption key that use when you login to our management portal and go to the VERDE download page. VERDE comes with a 30-day / 10-seat trial license activated upon installation. Is there any documentation to help with the installation and administration of VERDE VDI? 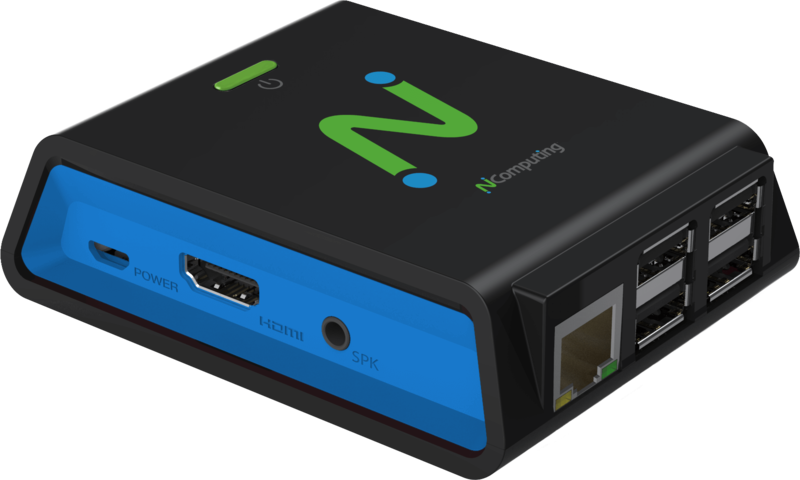 NComputing provides VERDE release notes, documentation for configuration sizing, installation planning, and detailed installation steps to help you get started. A VERDE 8.2 administration guide is also available at the same time that describes how to create gold images, administer users and sessions. In addition to downloadable PDF documentation an online, searchable, version of these documents is available on our website. Our extensive collection of Knowledge Base articles is another excellent source of information about VERDE and includes installation and performance tuning tips we have gleaned over the course of development and internal testing of VERDE 8.2. The KB articles are easily searchable from the support page of the NComputing website. What installation options do I have with VERDE? The RPM packages provide a more flexible installation as you have more control of the OS packages installed beyond the minimum install of CentOS. This is the recommended installation package for production systems. The VERDEOS package has an easier menu guided installation process with the limitation that the OS image may not contain all of the latest patches or device drivers needed or available on your hardware. This package is useful to help you get start quickly with a VERDE POC. Installation assistance is also available directly from VERDE through a professional services engagement. What endpoint devices are supported in VERDE? VERDE provides a downloadable software client application that allows any PC, Mac, or Linux desktop to connect and authenticate to a VERDE host system. We also support the VERDE client tools on our RX300 and RX-RDP thin clients as well as third party Windows or Linux embedded thin clients. Clientless access to VERDE is supported via any HTML5 compliant browser. What desktop and protocols does VERDE support? VERDE supports Windows and Linux based desktop OS’s as equal citizens and these desktop VMs can be run simultaneously in any VERDE based host system. Currently, we support Windows 7, 8.1, and 10 as either 32-bit or 64-bit desktop implementations. Windows Server 2008, 2012r2 and Server 2016 are also supported when running in Desktop Experience Mode. For Linux desktops, we support Red Hat, Centos, Ubuntu, Mint and Linux Lite desktops as well. VERDE 8.2 is currently hosted on Red Hat or Centos 6.9 or CentOS 7.5 servers. Tell me more about the Annual Maintenance Program (AMP) for VERDE and its benefits. VERDE AMP provides access to our standard support offerings of online KB and unlimited ticket submissions, phone and chat access to VERDE support technicians, access to VERDE upgrades, a web-based end-point device management platform and all firmware upgrades for the RX300 and RXRDP thin clients. VERDE 8.2 requires AMP for VERDE in the first year of service. 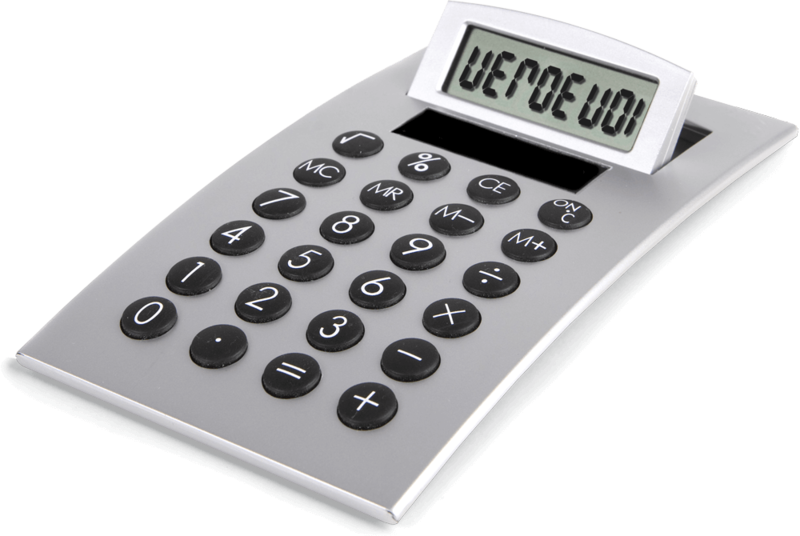 Annual renewals of AMP for VERDE are required to maintain the advantages of the premium support. Regardless of AMP it is possible to use our self-help and web-based ticketing system for less critical issues and information access. How to determine how many AMP seats if I decide to subscribe to AMP after the free trial? The number of AMP seats to purchase is based on the number of peak concurrent users who will be accessing VERDE at any one time. I am using an earlier version of VERDE now, should I move to VERDE 8.2 (latest release)? Yes. We continue to release new versions of VERDE 8.2. Each version comes with many new enhancements that are beneficial to customers and bug fixes found in earlier versions of VERDE have been included in VERDE 8.2.x. Please refer to the latest VERDE 8.2 release notes for a list of the most significant fixes and remaining known issues. Can I upgrade to VERDE 8.2 from earlier versions of VERDE? Any customer can upgrade a previous VERDE 8.2 release to the latest 8.2.x version. For VERDE 8.1 and earlier, due to changes in the VERDE licensing software it is not possible to upgrade from these releases to VERDE 8.x. Once VERDE 8.2.x is installed however it is possible to upgrade any backed up and saved gold images and user images files. Check with VERDE support for instructions on which files need to be saved, the upgrade steps, and the restoration process. NComputing professional services can assist you with these upgrade steps. What about NComputing’s support for older VERDE server versions? In an effort to continue to innovate and bring out the best possible features and experience to our customers, we recommend that migration plans to the latest release of VERDE 8.2 be put into place for earlier versions of VERDE and that these plans be implemented within six months of the release of any new version of VERDE-VDI. If I don’t have AMP for VERDE VDI, what is my support option? You will still have full access to the product documentation and help center to access a variety of knowledge base information and you can file tech support ticket (up to 3 occurrences per year). However, keep in mind that there will be no upgrades or enhanced support which includes live chat or phone support. What operating systems does VERDE support? 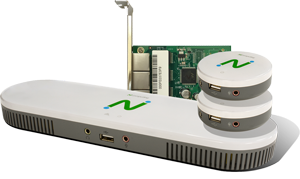 VERDE supports Windows and Linux based desktop OSs as equal citizens and these desktop VMs can be run simultaneously in any VERDE based host system. Currently we support Windows 7, 8.1, and 10 as either 32-bit or 64-bit desktop implementations. Windows Server 2008, 2012r2 and Server 2016 are also supported when running in Desktop Experience Mode. For Linux desktops, we support Red Hat, Centos, Ubuntu, Mint and Linux Lite desktops as well. Are there any restrictions on the processor types you can use to run VERDE? VERDE requires that the processor type is based on the X86 architecture. For installation of VERDE on a Red Hat/Centos 6 or 7 version OS it is important to also check the Linux compatibility list for supported processor types. VERDE makes every effort to support new processor types with each new release of VERDE but cannot assure you that a new processor type made between VERDE releases can be supported. For the virtual desktops, VERDE has the ability to emulate many different processor types depending on the supported processor architectures for the particular desktop OS being deployed. Again, checking the individual OS being virtualized you should always check the support matrix from the desktop vendor. VERDE Live Environment Access Format (LEAF/OS) is a set of Endpoint technologies used to transform the VDI experience. For many companies assessing VDI, other solutions fall short on client support. With client desktops hosted on a server, traditional VDI solutions have failed to provide for legacy client hardware and / or repurposed clients with PXE capabilities for network boot. While using legacy hardware and when no software distribution is possible to client devices LEAF/OS provides a solution. LEAF can be run in two distinct modes, LEAF Legacy Edition and LEAF Zero Endpoint Edition. VERDE Legacy Endpoint is installed locally on a client machine that supports connecting to a VDI session. It is used to repurpose legacy client hardware as a VDI access device for end users. 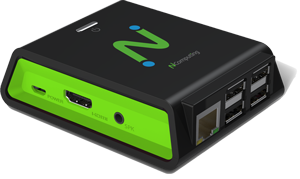 VERDELEAF Zero Endpointis a No Install option for PXE capable hardware. 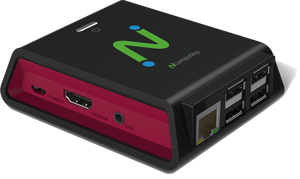 The client devices are simply configured to boot to the network and VERDE Zero Endpoint is booted from the server to enable users to access their VDI sessions.